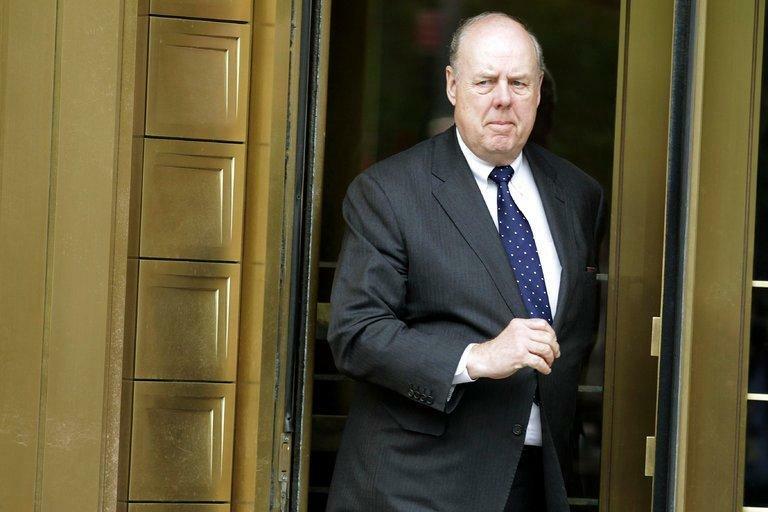 In a major development for Mueller's probe of Trump collusion with Russia collusion with Cambridge Analytics and/or obstruction of justice or whatever else is the scandal du jour, the NYT reported that on Thursday morning, Trump's lead lawyer for the special counsel investigation, John Dowd, resigned on Thursday, just days after the president called for an end to the inquiry. Moments later, Dowd confirmed his departure to NBC News: "I love the president and wish him well," Dowd told NBC News. Dowd’s departure is the most prominent shake-up for the president’s legal team since he took over from the president’s longtime personal lawyer, Marc E. Kasowitz. As the NYT adds, Dowd, who took over the president’s legal team last summer, had considered leaving several times in recent months and ultimately concluded that Mr. Trump was increasingly ignoring his advice. Mr. Trump has insisted he should sit for an interview with the special counsel’s office, even though Mr. Dowd believed it was a bad idea. The NYT also notes that Trump was "said to be pleased with Mr. Dowd’s resignation, as he had grown frustrated with him", particularly over the weekend when Dowd called on the DOJ to end the special counsel investigation. Dowd said at first that he was speaking for the president, but later backtracked. The president was angered with Mr. Dowd’s handling of the episode, telling people it was ham-handed and Mr. Dowd should not have backed off his initial statement. Mr. Dowd has told people that the president has recently implored him to stay but was said to be considering quitting on Monday, which he denied in an interview that night. “I’m sitting here working on the president’s case right now,” he said. Trump reportedly president has expressed displeasure with his legal team for weeks. He has met with the veteran Washington lawyer Emmet Flood, who represented President Bill Clinton during impeachment, about coming inside the White House to serve as his top lawyer. Dowd and Sekulow did not know about the meeting at the time, and after The New York Times reported about it, were said to be concerned that their standing with the president had fallen. He tried to reassure them on Twitter. Dowd's resignation comes days after Trump hired Joseph diGenova, a longtime Washington lawyer who has pushed the theory that the FBI and Justice Department framed Trump in their push to remove him from office. As we reported on Monday, DiGenova wasn't expected to take a lead role, but he is expected to be a "more aggressive player on the president's legal team", joining in the middle of negotiations with the special counsel over the parameters of a possible interview with the president. Of note, diGenova's wife is former Reagan Justice Department official and former chief counsel of the Senate Intelligence Committee, Victoria Toensing - who happens to represent FBI whistleblower William D. Campbell. It now appears that diGenova will be Trump's main lawyer on the Mueller probe. As a reminder, Trump also recently hired Charles Harder, the lawyer who represented Hulk Hogan in his successful defamation lawsuit against Gawker, to assist longtime attorney Michael Cohen in moving a lawsuit against former adult film star Stephanie Clifford - aka Stormy Daniels - into a federal court.